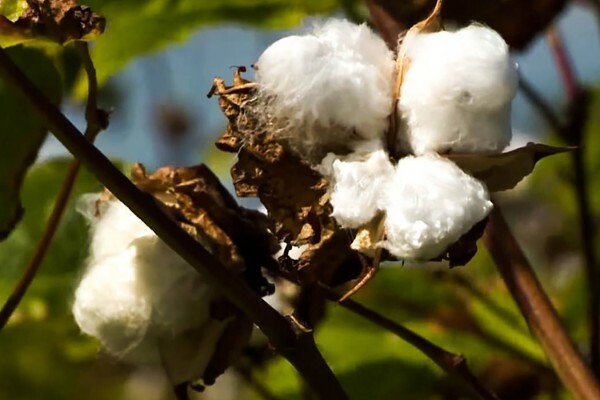 Discovered in the early 18th century in the British West Indies, Sea Island Cotton is the tropical strand of the same "Gossypium Barbadense" plant that American Pima and Egyptian Giza cotton are descended from. The extra long staple length fibers allowed for smoother, more luxurious cotton fabrics to be woven than ever before, which quickly led to Sea Island Cotton being known as the finest in the world. Today, Sea Island Cotton is regarded by many as an ultra-premium, rare cotton used by luxury brands for their finest products. The production is limited, and there are even differences between the cotton grown within the countries of the West Indies. The cotton in Barbados is picked by hand to ensure the highest quality levels. This dedication to luxury means that only 70 bales of Barbados Sea Island Cotton is produced per year, with 100% of this Barbados production going to only the most prestigious mills in Italy. Accounting for just .0004% of the cotton supply worldwide, Sea Island Cotton is the rarest in the world. Egypt can produce up to 74,000 bales of extra long staple length cotton per year, with 1,480 of those bales being their premiere "Giza 45" cotton. Just 130 bales of certified West Indies Sea Island Cotton are produced each year, with only 70 bales coming from Barbados. First picked by hand in Barbados, the finest Sea Island cotton must be approved by the West Indian Sea Island Cotton Association to assure quality. It is then sent to Bergamo, Italy where it's woven into its final fabric form. Only once it has passed inspection is this incredible fabric ready to be cut and sewn into shirts.